We want to say a massive thank you to the leaders who helped out at the event, the young people who took part in the event, and the judges who had some tough decisions between displays to make! Congratulations to everyone who took part, and especially our winners. How is the event setup? The camp is held during the 2nd weekend in October each year, over a full weekend. Each group arrives on site (pre-booking is required) and randomly selects an envelope containing their site for the weekend. The groups are then left to create their masterpieces during the Saturday. Judges will view the groups during the day on the Saturday to get an idea of the amount of work and effort that has been put into each display. The real judging then starts after the last minute rush to get the displays lit on Saturday evening when dark falls. Each display is judged by our panel and award scores on creativity, hard work, inginuity and orginality. The displays are then also open to other Scouts, leaders, parents to come to the site to take a walk around. 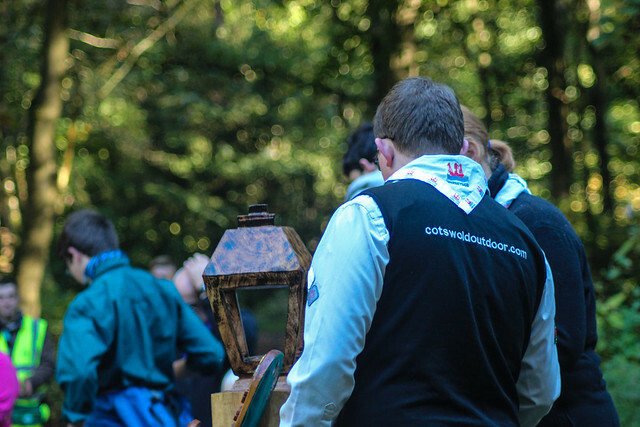 The much coveted title is then awarded to the winning groups on the Sunday morning at our Scouts Own service.